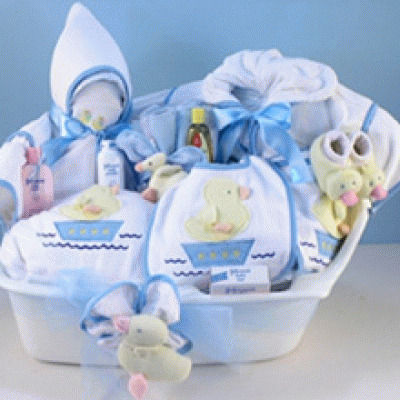 Here's a gift that will have baby looking his best on Christmas Day. 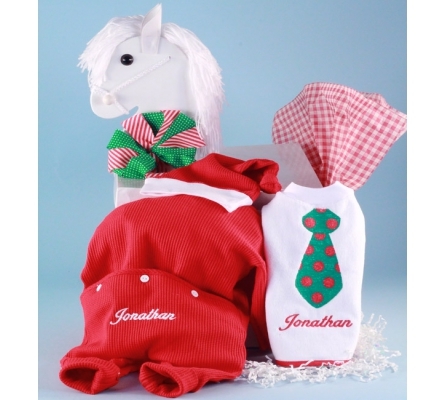 It's our holiday appropriate Christmas Outfit, Santa Hat & Bib baby gift set. The signature piece is a beautuful outfit for baby in a holiday red waffle fabric. The outfit, which is available in three sizes, has such high-end details as a zippered front crouch to make diaper changes easy, a two-piece back with button flap, and name personalization. 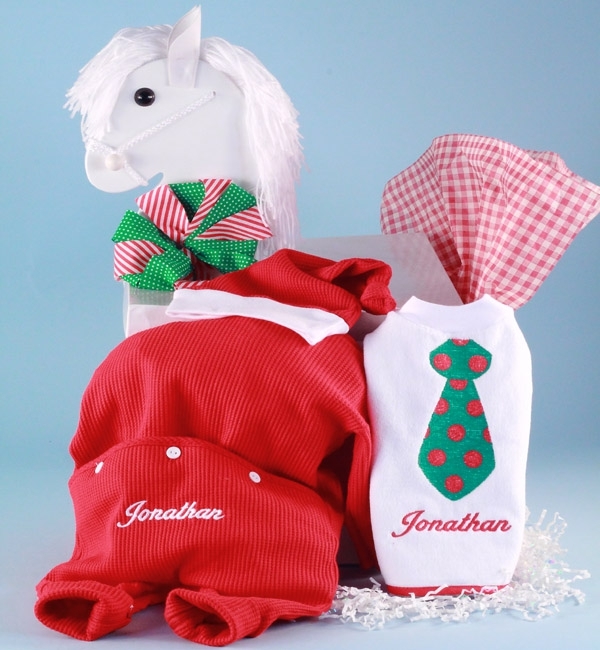 In addition, the gift set includes a matching santa's cap that will have baby looking fabulous, and a holiday themed pull-over bib that also comes with personalization. All of these items are gift wrapped and presented in our most distinctive rocking horse gift box, so this is one gift that will look just as beautiful under the tree as it does on baby.